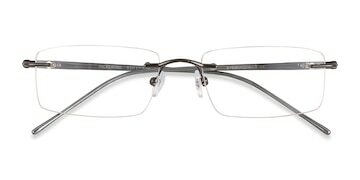 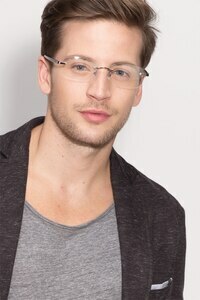 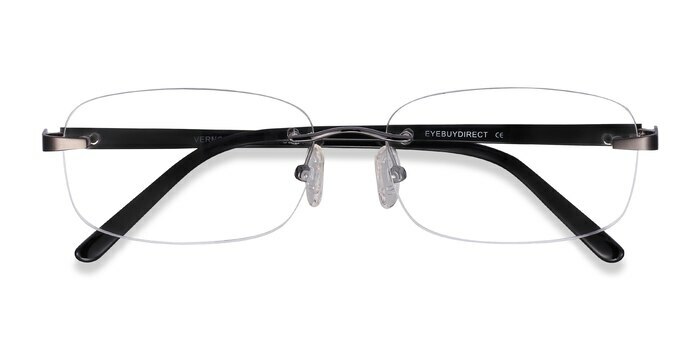 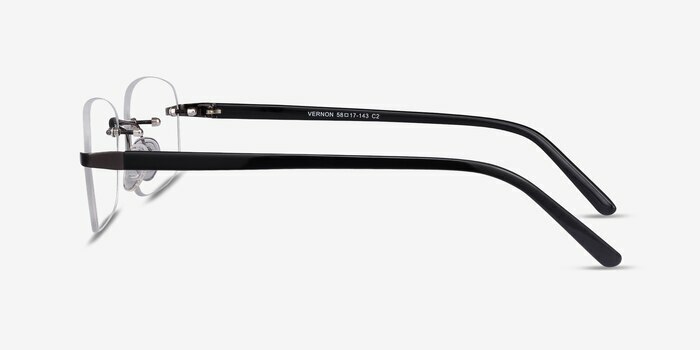 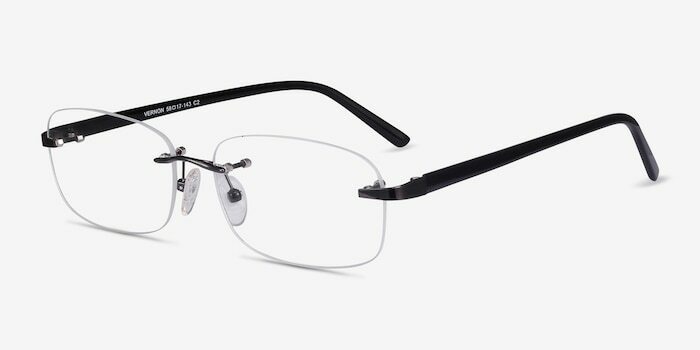 Put your best face forward with these gunmetal eyeglasses. 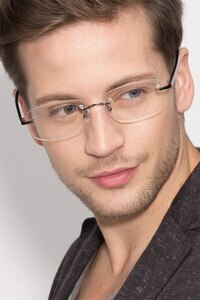 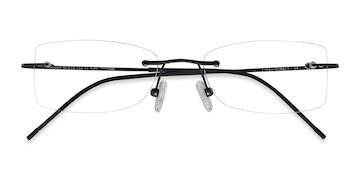 This rimless style features rectangular shaped lenses and glossy gunmetal accents. 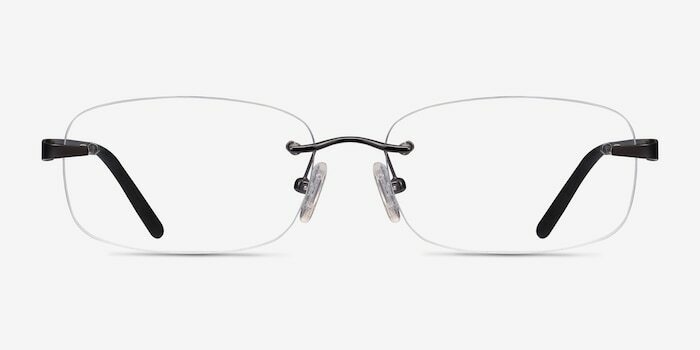 Adjustable nose pads and acetate temples add stability and comfort. 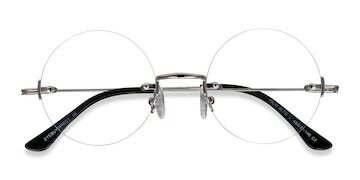 You will get noticed for you, not your glasses.